~ Color is a matter of personal preference. ~ Lighter colors make a room appear larger. ~ Darker colors are relaxing. ~ Texture determines surface appearance. ~ Texture can also assist in the resistance to wear and soil. ~ The most important decision you make is the choice of fibers. ~ This is the largest contributing factor to the price and performance. 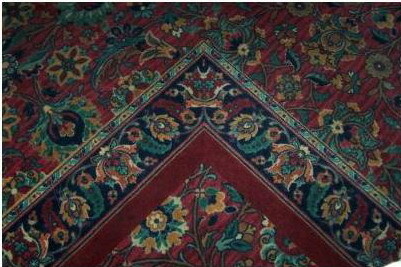 ~ When comparing carpets, always compare carpets of the same fiber. ~ Major carpet fibers include: Nylon, Polypropylene, Polyester and Acrylic. ~ Most important element in judging the quality. ~ Density is the number of fibers per square inch. ~ The deeper and denser the pile, the better. ~ The higher the number listed for density, the better the carpet quality. ~ Carpet cushion creates a softer walking surface. ~ Adds comfort and life to the carpet. ~ Your budget and your needs are the predominate factors in selecting your carpet. ~ There is a large selection in affordable carpeting. ~ Length of service could greatly affect the initial cost. ~ Purchase the best carpet you can afford for the high traffic areas. ~ A medium grade can be utilized in bedrooms and guest rooms.